Former LSU running back Leonard Fournette is possibly a player that the Minnesota Vikings could be taking a look at when the NFL Draft rolls up at the end of the month, a player that could take the place of one of the Vikings all-time greats Adrian Peterson. 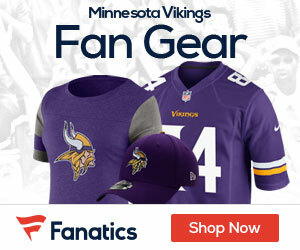 Checking the betting sites, you can see that many think the Vikings are in the middle of the pack in the NFC, but adding a dynamic player like Fournette could be a key to getting the team back to the top of the NFC North, a division owned right now by the Packers, who lost to the Falcons in the NFC Title game in Atlanta. Back to Fournette, he’s often compared to Peterson, and it’s not hard to understand why. They’re both big, powerful rushers who dominated at the college level. Peterson was the first running back selected in the 2007 draft, and indications are that Fournette will hold the same distinction in the 2017 draft. Fournette, however does not like being compared to Peterson, Chase Goodbread of NFL.com reports. 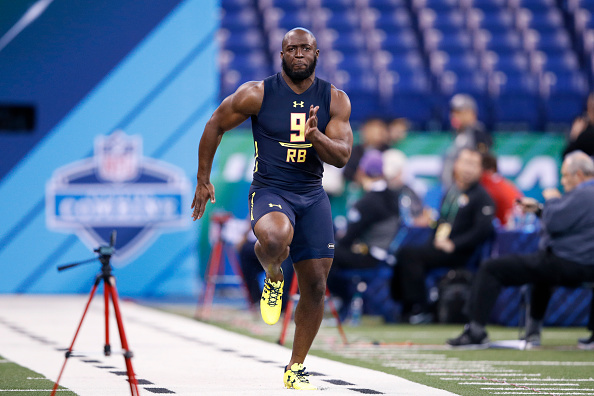 Fournette showed off his speed at the latest LSU Pro Day, as he ran a quicker 40-yard dash than many expected, coming in at 4.51 seconds. He did struggle with his vertical leap, just 28.5 inches, which was outjumped by eight offensive linemen in Indy. By running back standards, that number puts Fournette in the first percentile, per Mockdraftable, of all logged RB combine jumps back to 1999. Still, he’s an impressive player, and one the Vikings may take a long look at in a few weeks.